Once you get a fancy new camera, you just cannot stick to the automatic settings. Something makes you get the best out of it, but where to start from? Taking up online photography course is a good idea to help you dip toes in the water. If you don’t have enough time because, for example, you are about to go on vacation, we’ll give you suggestions how to test on your DSLR. When you are on vacation, many sights you want to capture are static: buildings, landscapes etc. However, most sights are fleeting, challenging to capture. For this reason, most DSLR beginners keep a camera on full automatic mode in order to concentrate only on the composition. 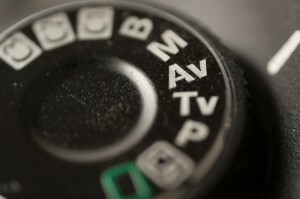 However, Program mode is usually not enough to face all the challenges, so it’s better to use Aperture Priority – AV mode. What you choose in this mode is, obviously, the aperture. So, your camera will adjust the shutter speed for the right exposure, depending on your choice of how much light you would like to let into the shot. Typically, lenses have an aperture in the range of f/2.8 to f/22. If you let less light in, you get sharper details. For example, landscape photographers prefer f/64, while portraits are shot with aperture around f/2.8. It’s important to mention that during the day, a photographer can choose almost any aperture. On the other hand, in low light, early in the morning, at night or inside, choosing the right aperture becomes harder. You need to lower the number of the aperture, because usually it’s necessary to let more light in. Flash should be avoided as much as possible. If you find the right aperture, but you think shutter speed is too low, it’s good to use a tripod or to increase the ISO setting. Alternatively, you can lower the aperture number if you want to avoid blur. Choosing Aperture Priority mode is not the only option, but it’s a good starting point. Play with your camera and soon you’ll understand how to make the best out of it.